The AT&T deal which gets you a free Samsung television is back. You need to start a new line or account and also buy a qualifying Samsung Galaxy device to get the deal. You can get your free TV directly from Samsung using a promo code delivered to you by AT&T upon meeting the terms. If you’re an AT&T customer (or would like to become one) and would also like a free television, do we have the deal for you! Back by popular demand, the AT&T deal from Cyber Monday is alive again, which gets you a free Samsung 50-inch UHD television with qualifying purchase. Surprisingly, there are few caveats to this deal. Sure, you’re going to have to buy a new phone and sign up for the usual service agreement to fulfill your obligations, but other than that it’s pretty straightforward. All you need to do is sign up, buy a phone, and then get your free TV! If that’s all you need to know, go ahead and click the button at the bottom of this article and start up the process. If you want to know more, allow us to explain. 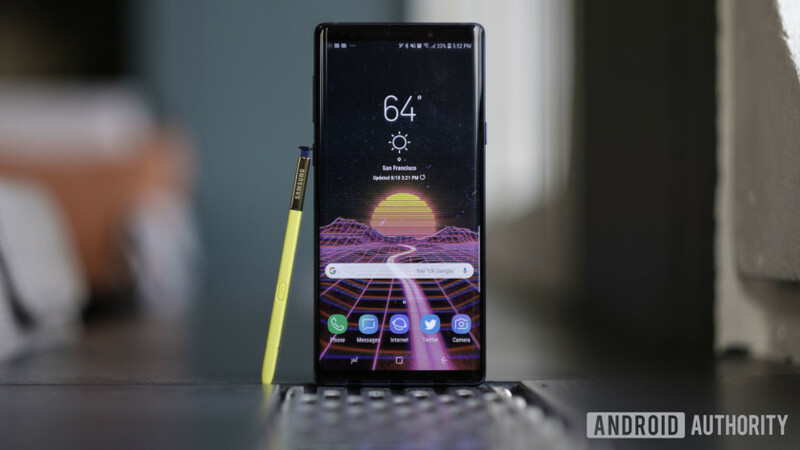 To get the free TV, you’ll need to buy one of four Samsung devices: the Samsung Galaxy Note 9, Samsung Galaxy S9, Samsung Galaxy S9 Plus, or Samsung Galaxy S8 Active. To be clear, you can’t buy the devices outright — you must buy one on either an AT&T Next or AT&T Next Every Year installment agreement. In addition, you’ll need to start a new line of service as a new AT&T customer or add a new line to an existing AT&T account. After you perform those two steps, keep an eye on your email: you’ll receive a promo code within 14 days to use on Samsung’s website to get your television. Be quick, though! You’ll only have 30 days from receipt of the code to get your free TV. This deal has a time limit — the end of the day today. If this appeals to you, we suggest you get on it right now!